Massage therapists use their hands to work on muscles and other soft tissues of the body to improve health and well-being. Massage ranges from gentle stroking and kneading of the muscles and other soft tissues to deeper manual techniques such as trigger point therapy and myofascial release. It improves circulation of blood and lymph, reduces muscular tension and enhances tissue healing. It is useful for many musculoskeletal problems, such as low back pain, arthritis, fibromyalgia, and sprains and strains. Massage has been practiced as a healing therapy for centuries in nearly every culture around the world. It stimulates healing, boosts energy, eases pain, and enhances relaxation, mood, and well-being. Massage may also relieve symptoms of chronic fatigue syndrome, decrease swelling, alleviate sleep disorders, and improve self-image. 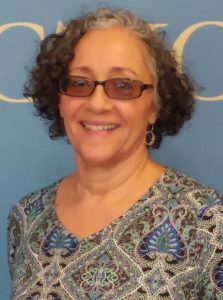 Creekside Chiropractic Center would like to introduce our new massage therapist, Joanne Montalvo!! Her specialty is a blend of therapeutic and relaxation style of massage that is customized for your individual needs. In addition, she enjoys teaching so that the healing can continue at home. Her goal is to help client’s live pain free and healthy. She received her training San Diego California in 2007, where she completed the Holistic Health Practitioner Program with a total of 1000 hours. She then found her niche by working in a Chiropractic setting where she began to use her extensive training in Deep Tissue, Myofascial Release, Sports Massage, Pregnancy Massage, Swedish, as well as many Eastern modalities.